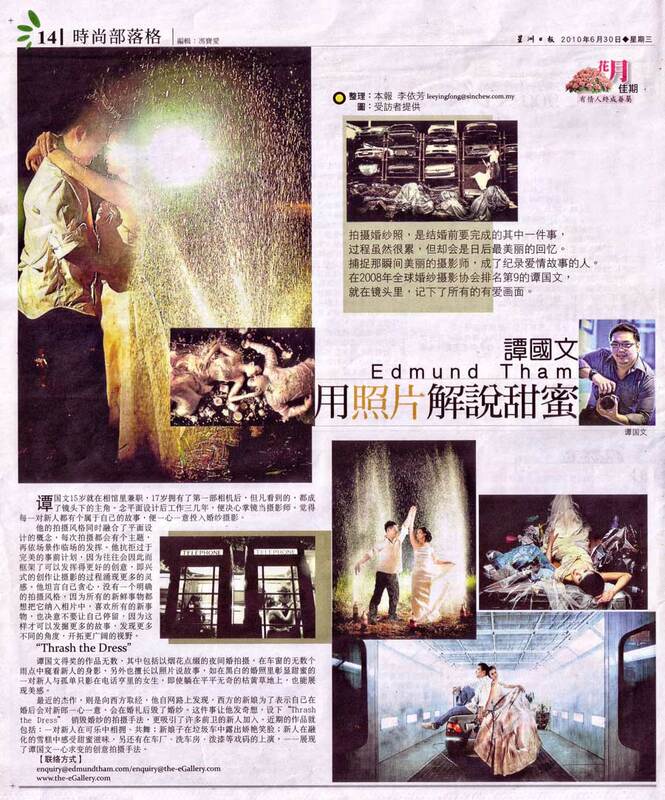 THE MAN BEHIND THE LENS – EDMUND THAM OF E-GALLERY. 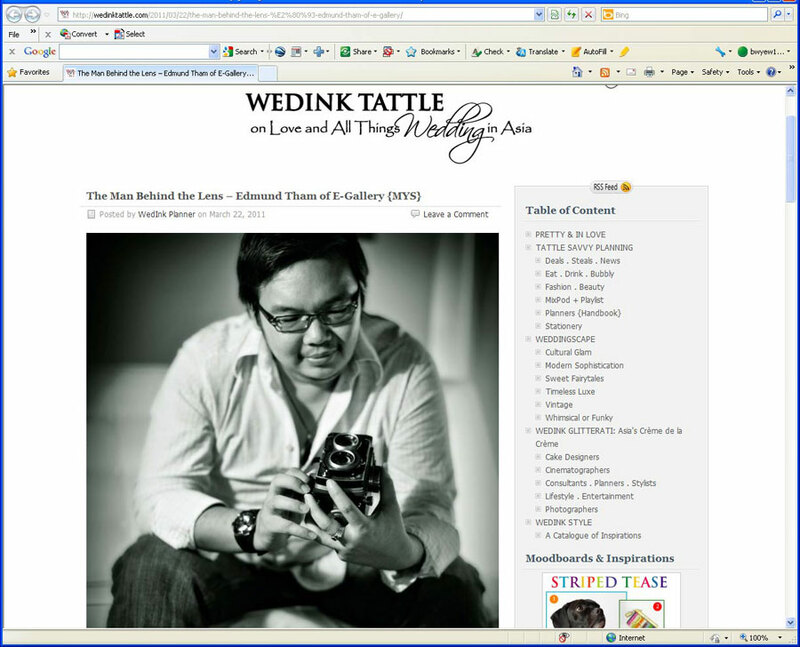 March 2011, Wedink Tattle. 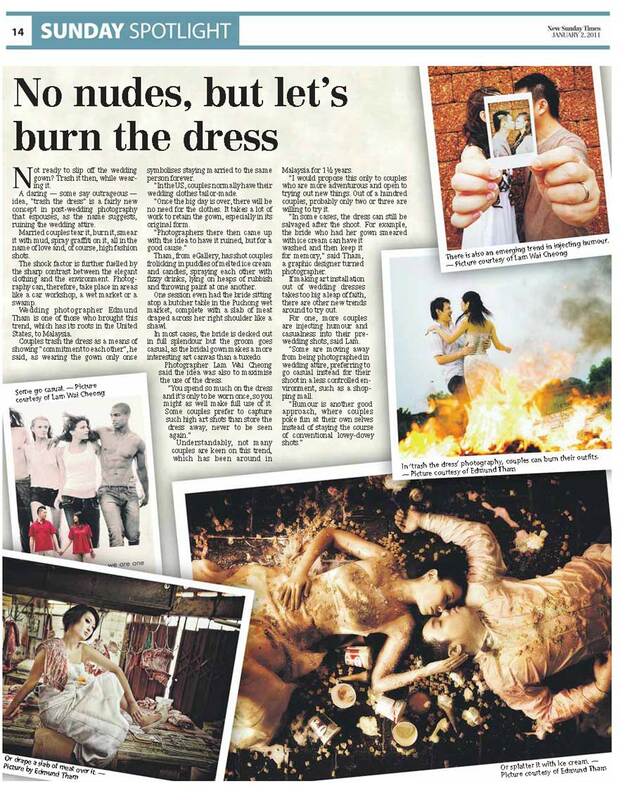 LET’S BURN THE DRESS. 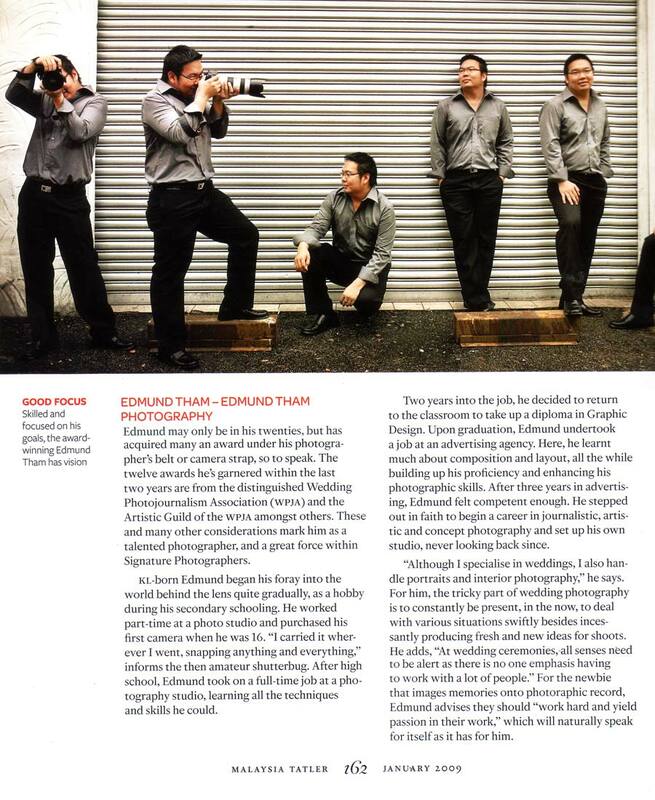 January 2011, New Strait Times. 用照片解说甜蜜. 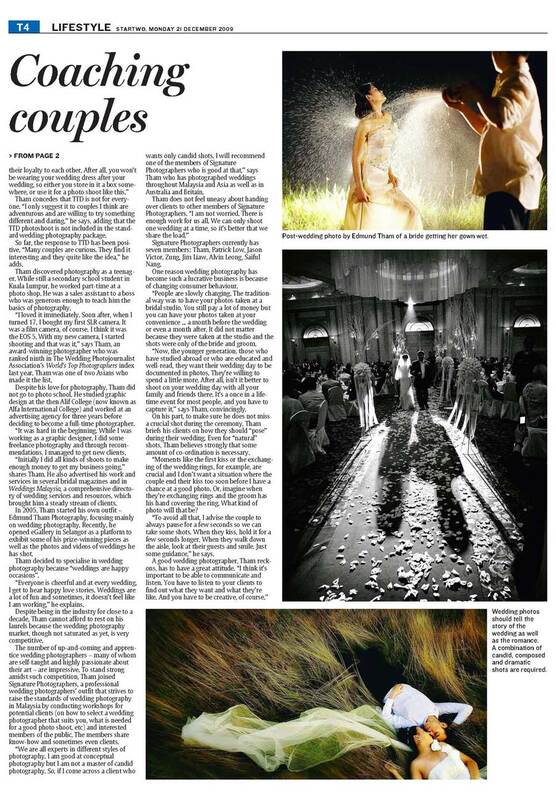 June 2010, Sin Chew Daily. FOTOGRAFI EKSTREM. 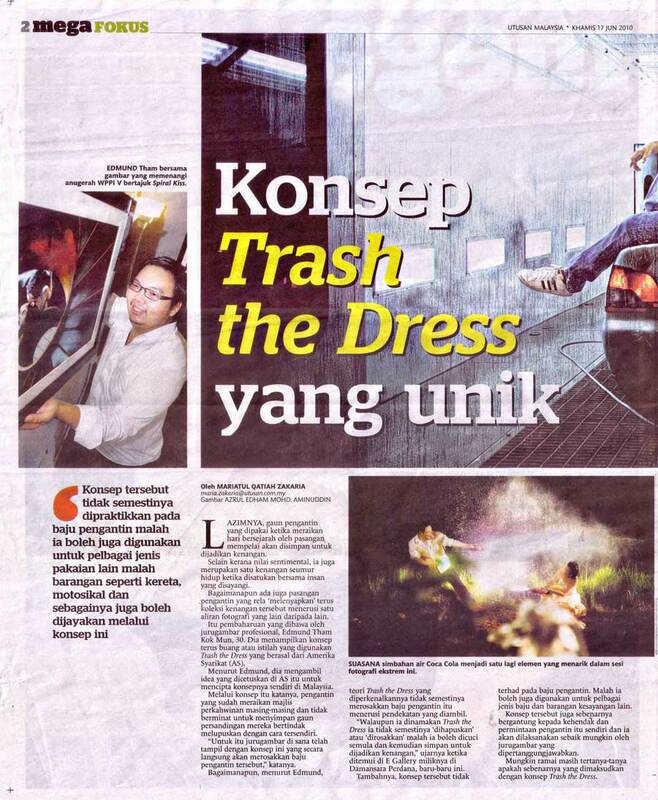 June 2010, Utusan Malaysia. MORE THAN MEETS THE EYE. 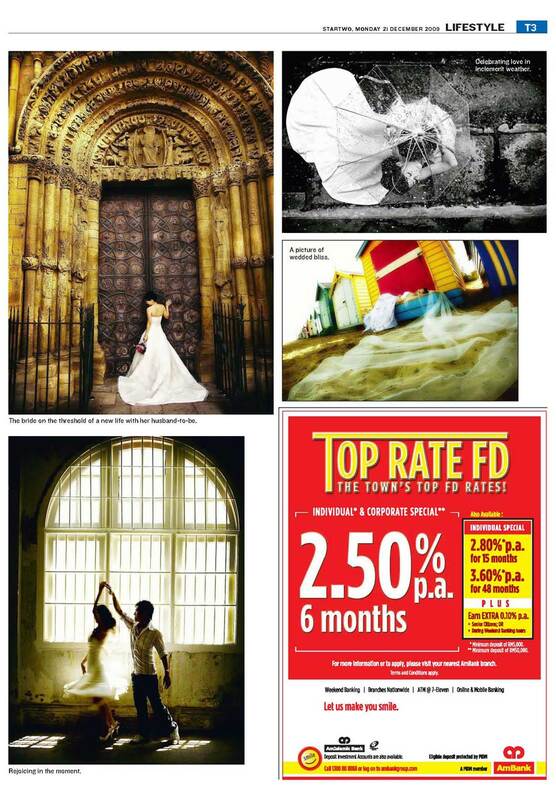 March 2010, Comercial Concept. 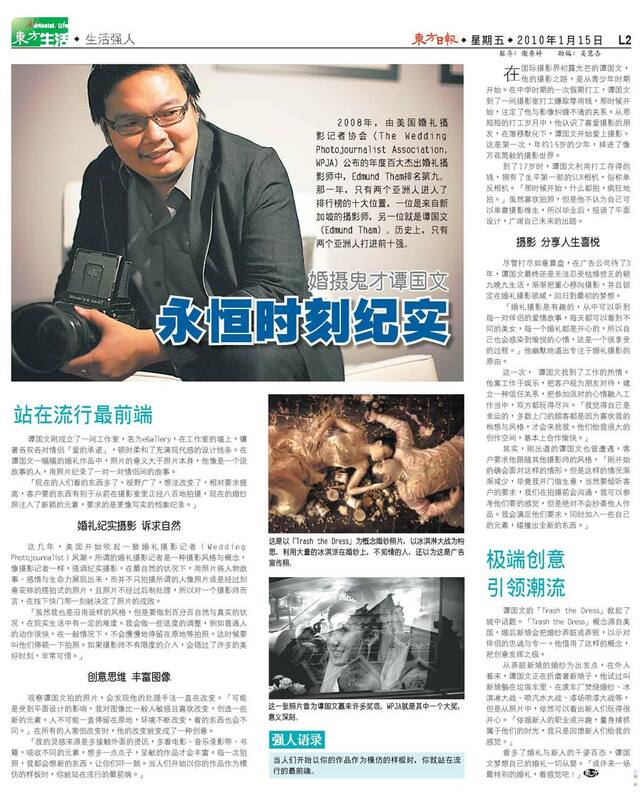 永恒时刻纪实, January 2010, Oriental Daily. 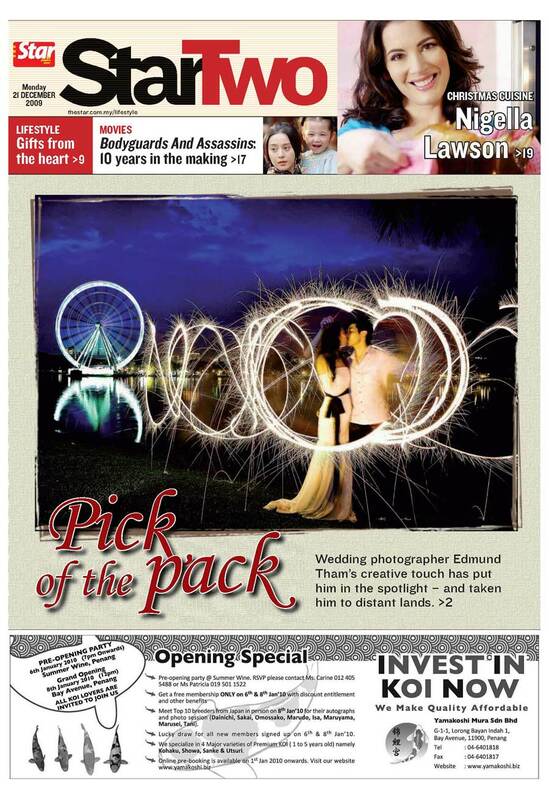 PICK OF THE PICK. 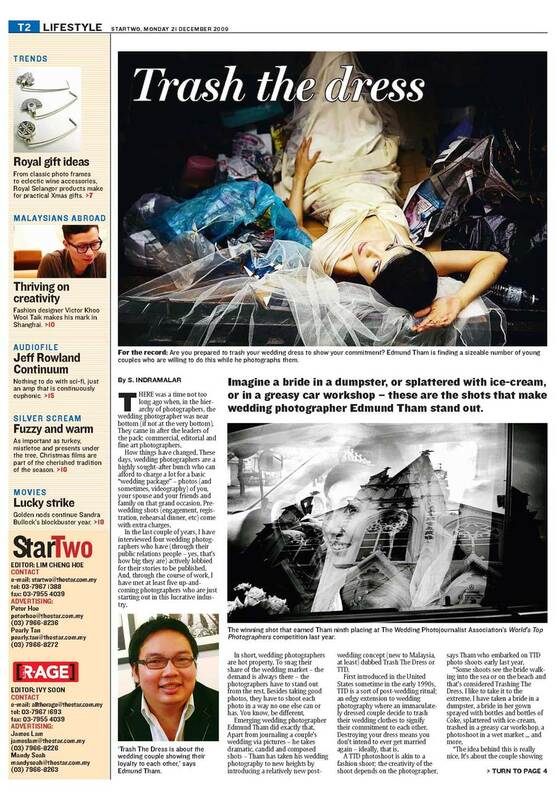 Dec 2009, The Star. 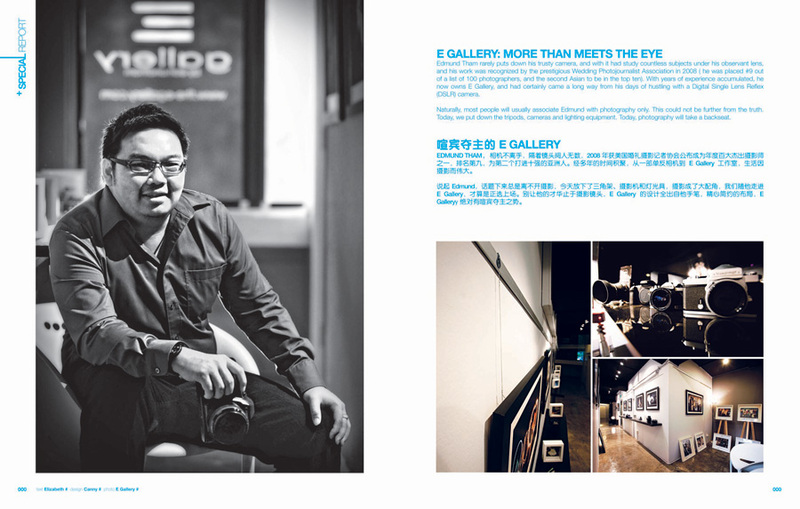 SLEEK SHUTTERBUG! 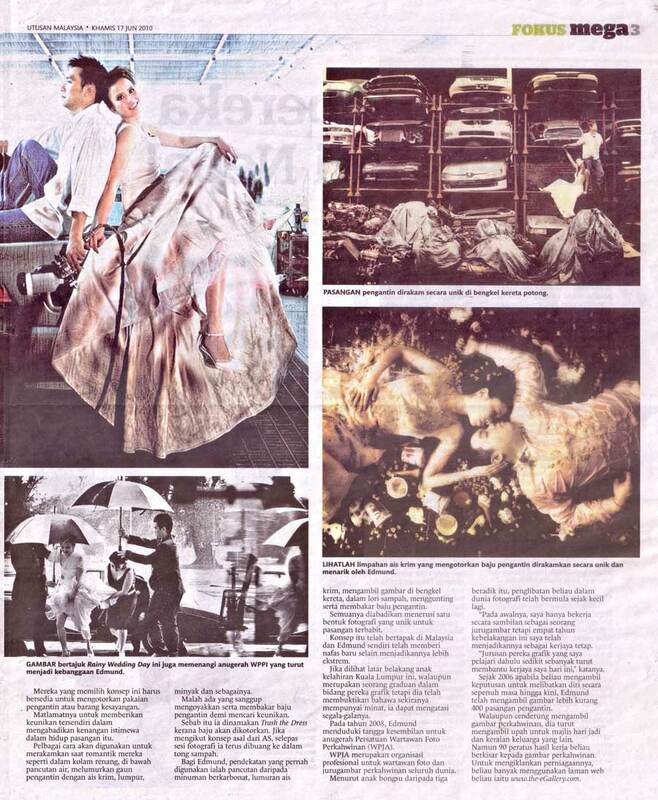 December 2009, Prestige Malaysia. THE BIG PICTURE. 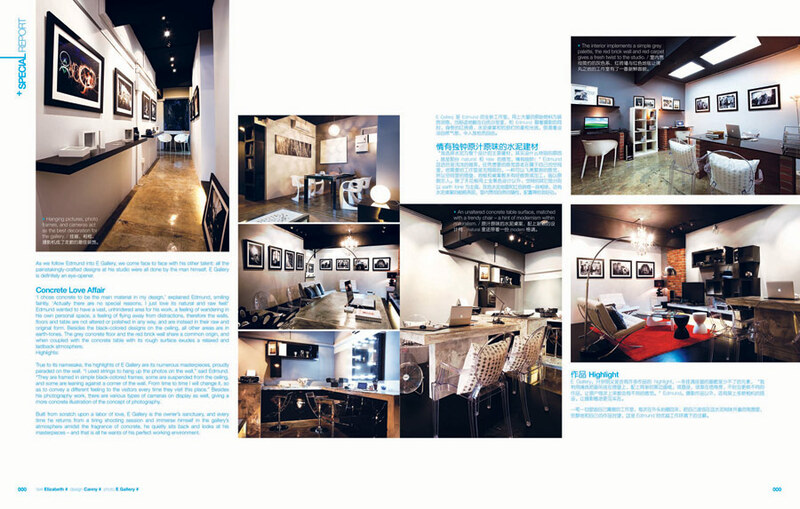 Signature Photographers Interview. 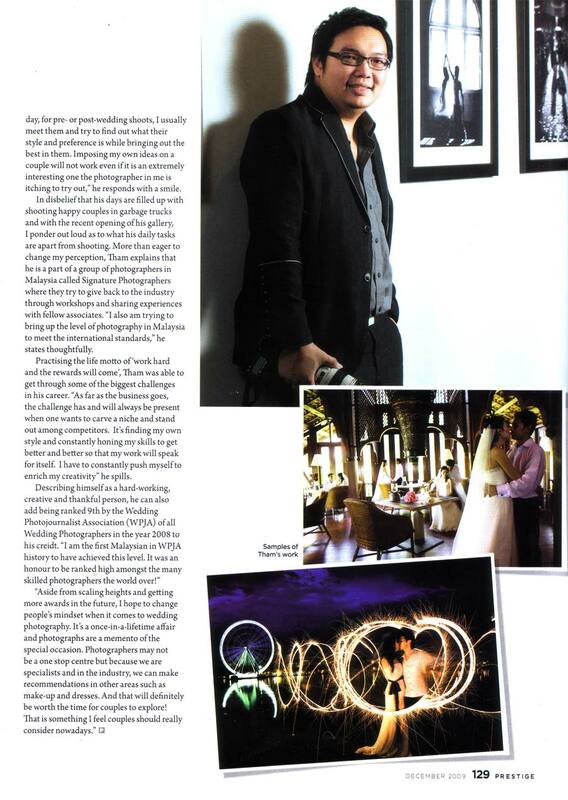 January 2009, Malaysia Tatler.